A limited edition ornament for Halloween from Just Nan. Pattern includes silver hanger for tail, antique brass button for base, orange crystal beads, black beads, witch’s hat and felt for broom. You will also need stuffing for mouse and a toothick for the broom to finish. 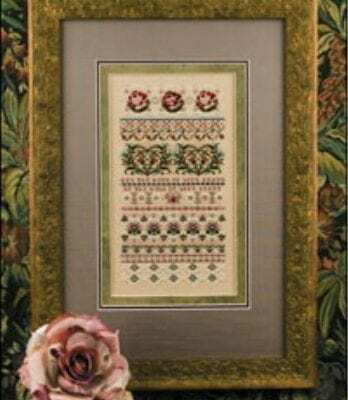 Shown stitched on 32 count Raw/Natural Belfast linen (2″ x 3 1/2″) and uses DMC floss.